The Loire Valley extends across a geological formation that divides the region into two distinct soil types: the chalky limestone soils to the east that garner attention for their similarities to those of Chablis & Champagne, and the dark schist soils to the north and west. This divide, where the Armoricain Massif butts up against the Paris Basin, cuts the appellation of Anjou in half, and the two soil types there are referred to as Anjou Blanc & Anjou Noir. 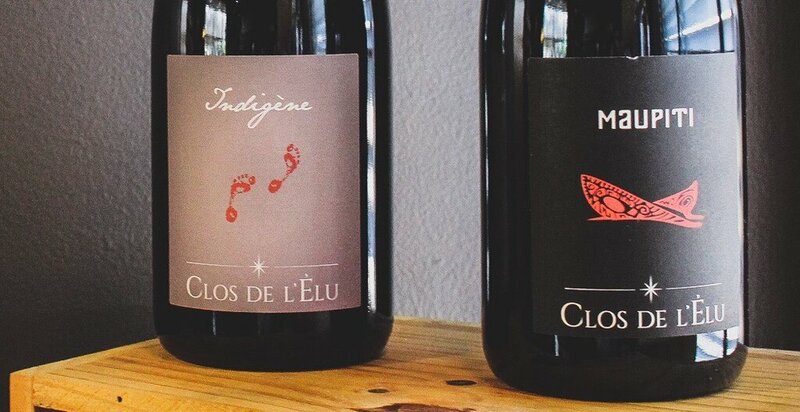 The vineyards at Clos de l’Elu are located on the easterly part of the Armoricain Massif, on dark schist soils full of volcanic rocks, sandstone, & quartz. Nestled on the south-facing slopes of the Layon River, a tributary of the Loire, the vineyards are open and dry yet sheltered from the Atlantic winds from the north and east. 25-year-old vines grown in shale & limestone soils. Slow fermentation with indigenous yeasts. Aged one year on lees in oak barrels, followed by assembly in vats. Malolactic fermentation completes. Deep & complex, beautiful minerality, citrus. Great food wine. Schist, clay, & chert soils. 20-45 year-old vines. Natural yeast fermentation starts semi-carbonic, finishes traditionally. 3-5 weeks whole bunch maceration. Aged in steel vats for 12 months. Bottling without filtration, low dosage of sulfur. Blackberry & spice. Prunes, figs, & minty aromas. Refreshing with good structure. Schist & quartz soils. 20-45 year-old vines. Whole bunch infusion. Natural fermentation, aged for six months in vats. Vivacious, tart red fruit, peppery spice, little SO2 added. Schist soils. 35-year vines. 3-5 weeks whole-bunch maceration with native yeasts. Free run juice and pressed wine are blended together then aged for 18 months in oak barrels, then 6 months in vats without racking. No filtration. Minty nose followed by red fruit & fresh herbs. Velvety texture, fine tannins. Long. Location: Saint Aubin de Luigné, between Chaume & Ardenday. Most vineyard sites are on the right, south-facing side of the Layon River. Climate: Crossroads of oceanic (Atlantic) & continental (Touraine). Western winds & mild temperatures in the valleys. Slopes take on a Mediterranean feel. Color of the soil helps to retain heat. 20 hectares (50 acres) composed of 6 parcels. Entirely organic. Vinification with minimal contact with the grapes. No synthetic products. Indigenous yeasts only. Whole bunch maceration for the reds. No chaptalization. No filtration with the reds. Minimal sulfites added. Thomas realized a desire to produce wine when he was picking grapes as a student in Brugundy. He learned a great deal about terroir working for a small winery in Sonoma. He worked at a boutique in Paris and then as a viticulture consultant in Champagne. During this time a learned to reject the over-engineered wine industry. He returned to winemaking in Provence, running a winery while also working for a consultant in Provence that managed some of the region’s finest vineyards. In 2008 he realized his dream of having his own winery when he purchased Clos de l’Elu.